Occasionally it may be recommended for a patient to have an enhanced MRI scan using a contrast material (Gadolinium), which is injected under image guidance so it’s given directly into the area under investigation. This is known as an MR Arthrogram or possibly MRI Arthrogram. The injection will usually be provided either under ultrasound guidance or fluoroscopy (live x-ray imaging). The patient is then MRI scanned. The injected ‘dye’ flows within the affected area and helps to highlight damage to the tissues or joint. There is a possibility some people may be allergic to the dye or needle phobic. 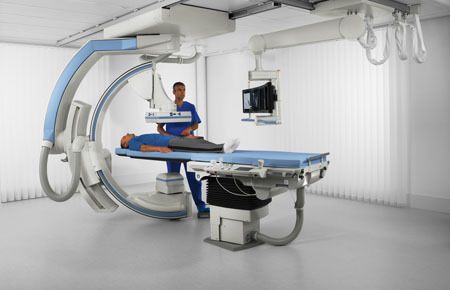 In these instances advice from our Consultant Radiologist may be sought including, for example, checking the availability and feasibility of a scan in a more powerful MRI scanner. TraumaCare has been providing MR Arthrograms for a number of years and we are aware and ready to deal with the possible issues, which may arise. Please note, whilst the health risk of MR Arthrogram scans is thought to be low, as with any medical procedure, there is an element of risk. It is therefore the policy of TraumaCare only to provide MR Arthrogram scanning where there is a positive health benefit to the patient.